Captain James Cook Australian beer history starts very early in Australia's colonial history, with the discoverer of Australia's eastern shores in fact. On 1 August 1768 as Captain Cook was fitting out the Endeavour for its voyage to Australia, Nathaniel Hulme wrote to Joseph Banks recommending that he take "a quantity of Molasses and Turpentine, in order to brew Beer with, for your daily drink, when your Water becomes bad. 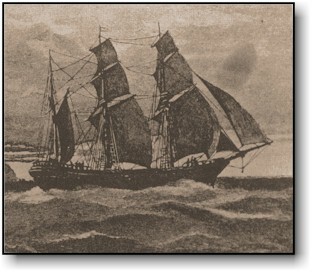 … [B]rewing Beer at sea will be peculiarly useful in case you should have stinking water on board; for I find by Experience that the smell of stinking water will be entirely destroyed by the process of fermentation." Australians talk about binge-drinking, for example. They say, 'Oh, why are young people binge-drinking?' Well, they've been drinking because their parents did, their grandparents did, their great-grandparents did and their great-great-grandparents did before that. The alcohol culture began "when they rolled the first barrels of rum off the decks". On 26 August 1768 the Endeavour left England. Captain Cook, who was noted for his belief that beer maintained the health of seamen, wrote in his journal that there were four tonnes of beer on board! Obviously the Endeavour’s crew were a thirsty bunch because on 31 September 1768, barely a month later, the Endeavour’s tonnes of beer were almost gone! Captain Cook wrote: "Served wine to the ship’s company, the Beer being all expended to two casks which I wanted to keep some time longer." 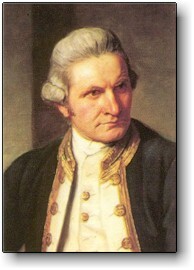 Captain James Cook also had the distinction of putting down the first brew in Oceania at Dusky Sound in New Zealand on 27 March 1773. Surely, this date should be celebrated as a national holiday in New Zealand!